In one of the previous posts we have shown the presentation Spitfire Mk. V AA693 Borough of Southgate as it looked like directly from the factory. To complete the history of the same aircraft, here are three photographs which show the same aircraft in the United States. 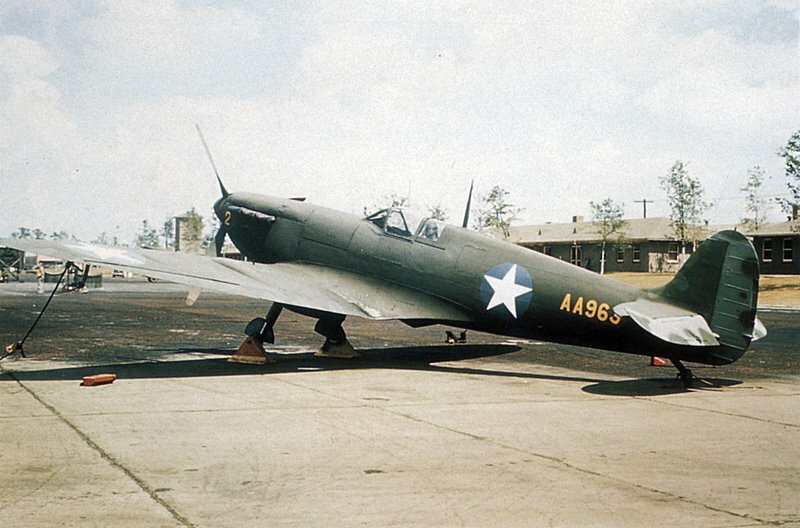 The aircraft was shipped to the United States in February 1942 for evaluation purposes. However, with the US entry into war, its first assignment was a display at the war exhibition in Chicago in the end of that month. 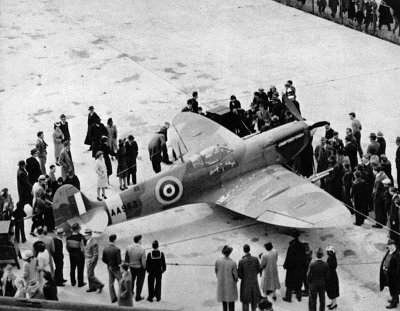 Produced in November 1941, AA963 was one of the first examples of Mk. Vc produced by the Supermarine factory. Its short spinner and full complement of four cannon amount to a rather unique configuration. A curious feature are the two small blisters positioned on top of the roundels, not present at later production examples of the “C” wing. The factory-applied RAF markings are still intact, with “Borough of Southgate” crest visible on the port side of the fuselage below the windscreen. The flight evaluation programme was conducted by the USAAF at Wright Field, Dayton, Ohio. 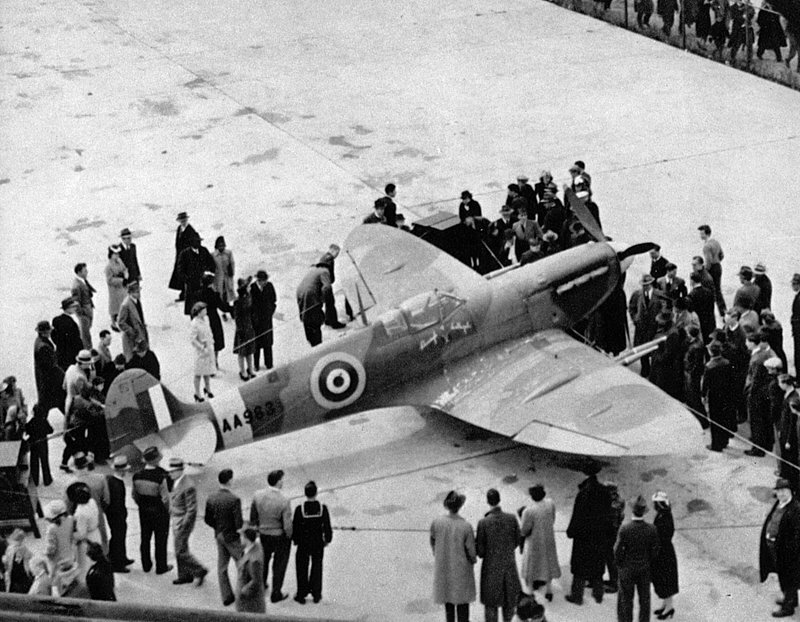 It is probably where the above photograph was taken, with the aircraft still carrying its original RAF camouflage, but with the paint already worn out around the cockpit entry door. The last photo shows AA963 at some late point of its career in the US, location unknown. The aircraft is probably defunct as it lacks its wheels. 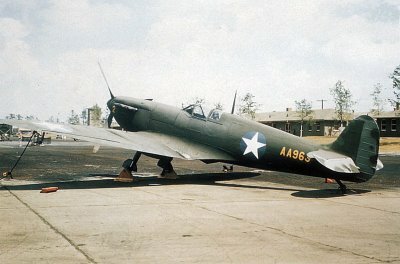 At this point the airframe was entirely repainted in the US standard camouflage scheme of Olive Drab over Neutral Grey. Also the rudder and elevators have been painted in the latter color. Additionally, there are Medium Green splotches on moving surfaces and what appears to be light green splotches on the fin. The RAF roundels have been replaced by star insignia. Notably, there is no sign of the IFF antenna visible in the previous photos. Barry Gillingwater who has kindly provided these photographs is trying to track down what the eventual fate of AA963 was. If anyone can help with photos or information it would be most appreciated.